You’re doing your best this year to eat healthy. Maybe you’ve lost weight and want to lose more. You’ve finally found a lifestyle you can live with that is helping you regain your health. All you need is consistency. You’re on your way! You’re getting it done! What follows are the most dangerous 36 days of the year. Holiday parties, Christmas gatherings, endless treats at work–everything culminating with the diet-debauchery of “the last day before you re-start your diet,” New Year’s Eve. Like clock-work, on New Year’s Day, it’s time to hate yourself for everything you did and purge, purge, purge. Sound like hell to you too? Last year, after a month of letting my nutritarian lifestyle slip, one choice at a time, I found myself face-down over a bowl of cookie dough. I’d roll out one cookie (my Grandma’s butter ball recipe) and pop the next one in my mouth. It was 10 o’clock at night, my family was all asleep, and I was in my “fat pants,” and they felt tight. It’s hard to be optimistic when your fat pants are tight. I ended up gaining 10 pounds over the holidays. I’ve never felt worse. It took me a lot of effort to stop the madness and get back on track. PEER PRESSURE: The holidays provide a social license to binge because everyone’s doing it. “Indulgence loves company,” Katz says. After reading this, I immediately realized what went so wrong last year. Undoubtedly, my head-down-in-the-cookie-batter episode was brought on by missing my family during the holidays. My parents and siblings all live in Florida, while I’m out in California. And even though I have my own family now, during the holidays, you crave those childhood memories and the people who love you most. Last year was one of the first times my mom couldn’t come out for Thanksgiving, and that’s when I got triggered. I don’t know about you, but this year I’m taking up arms to protect my healthy lifestyle! I’ve been scouring the web and health blogs to find an arsenal of strategies to get us safety and sanely through the holiday season. Whether you’re mid-binge or taking measures to prevent one, you can pick the tips you like and develop a game plan, every smart decision, no matter how small, helps. Here are the top 10 tips (from the experts) to help you navigate your holiday eating strategy (yup, you’ll need a strategy folks–cause this is war!). According to Lisa Moskovitz (Registered Dietitian and CEO of NY Nutrition Group), it’s dangerous to let yourself feel guilty for indulging. Expect to indulge or get off track, then move on. Don’t beat yourself up or put yourself down, it can cause you to cascade into a dangerous binge. Think of the holidays as being a messy checkerboard of eating healthfully and indulging. The triumphs come every time you choose a healthy meal. You might not make the best choices every day, but that doesn’t mean you’re a failure! If you indulge, don’t feel guilty, but strive your hardest to make your very next meal part of your regular healthy lifestyle. Deborah Levy (Registered Dietician and Nutrition Consultant at Carrington Farms Health) advises eating foods with less calories first (source). We’ve talked about this a lot on MMTM! Start with the raw veggie plate or salad or a broth-based soup, then move on to a lean protein. By the time you reach the triple-fudge brownies, a few bites will be all you need to feel satisfied! Take it a step further and make a nutritarian green smoothie before heading out to a holiday party or family meal. 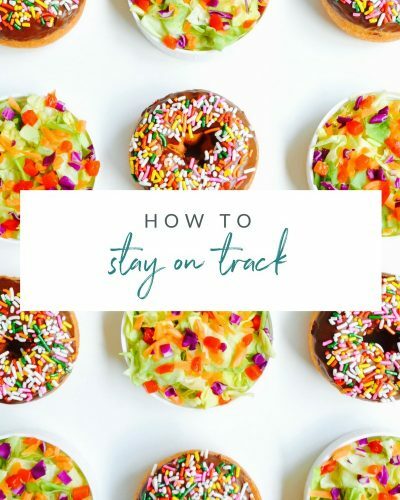 Megan Roosevelt (Registered Dietitian and founder of Healthy Grocery Girl) warns that traveling, shopping, and running errands during the holidays can lead to fast food, skipping meals, or surrendering to the siren call of Cinnabon. To keep your appetite in check, never leave home without a snack. Choose options made with real ingredients to truly energize and nourish your body. This tip comes from Dr. Fuhrman’s 6 Holiday Weight Loss Tips article (that I highly recommend giving a read). He reminds us to only eat when hungry–one of the tenets of his nutritarian lifestyle. But holiday indulgences of low-nutrient foods can cause us to feel toxic hunger that tricks us into eating more of the bad stuff. Again, if your developing a binge-busting strategy, you’ll want to focus on identifying when you feel full. 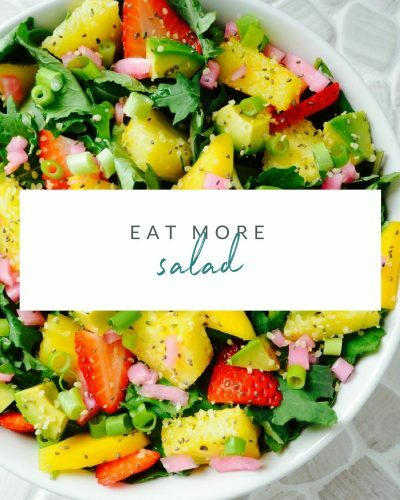 Maybe it’s as easy as putting your fork down after every bite and really focusing on what you’re eating at the moment. Or waiting a certain amount of time before you get another serving or have dessert. I can’t emphasize enough the power of a green smoothie giving you a shot of the micro-nutrients your body requires to feel full. Make and take one before your next holiday meal and feel the difference in your perceived hunger levels. This tip is from Registered Dietician, Edwina Clark. TIP #7: THREE BITES & GOOD NIGHT! This is another great, and practical tip from Dr. Fuhrman’s 6 Holiday Weight Loss Tips article. It may not be socially acceptable to bring your own entire meal to a holiday party, but any hostess would be happy to accommodate a dish that everyone can try and enjoy! Get creative with a salad that’s loaded with raw veggies, beans for fiber and protein, and a vegan dressing (like this No-Honey Mustard from Minialist Baker). This is exactly what I did for our Thanksgiving at my sister-in-laws. Everyone appreciated it and I had my “safe” food to fill up on. Last year I threw away my “fat pants” (I mentioned earlier) for good. I never wanted to be back at that size. Keeping my clothes stocked at my current weight gives me immediate feedback on whether what I’m doing (or not doing) is helping or hurting my health. Trust me you are going to feel way more comfortable to binge when you have those elastic waistbands and baggy tops. Simone Gloger (Registed Dietician and Head Nutritionist for The Dukan Diet) has a practical approach to making every health decision count, no matter how small. 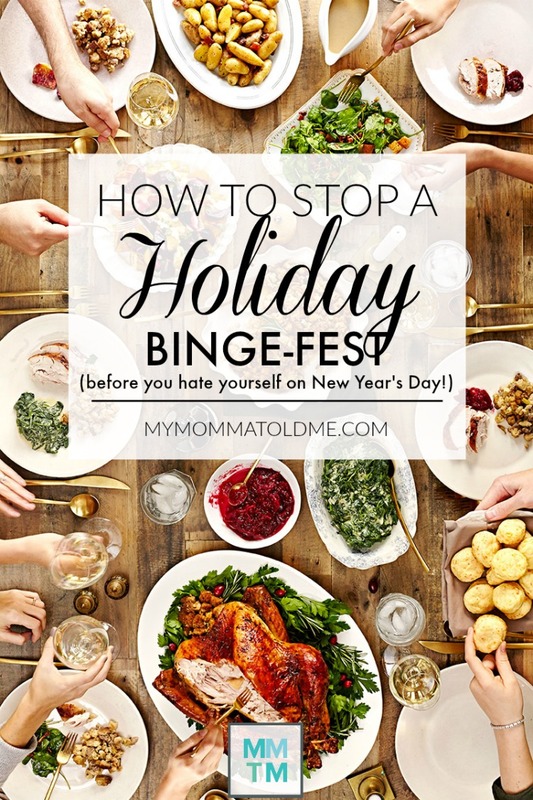 I hope these tips will help you this holiday season! Pick the one’s you like, develop a game-plan. 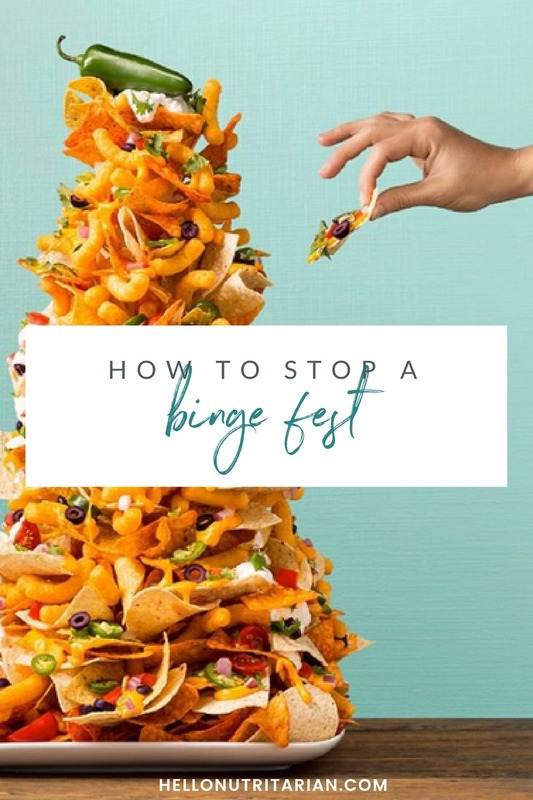 Even if you’re in a bit of a binge right now, you can employ these tips and make a difference! I actually sat down with my calendar and marked our holiday events and engagements. I wrote down what I’m going to do before, during and after. Every great general has a battle-plan, now it’s time to make yours! I’m committed to preventing an epic-holiday-binge-repeat of last year. Trust me, no one wants to wake up on New Year’s day having totally let themselves go for the past month. 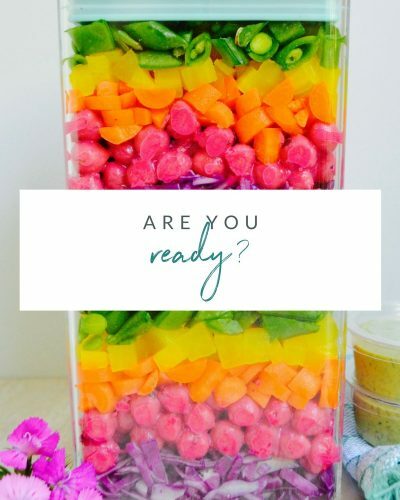 You want to wake up that day feeling like you celebrated, within reason, and are ready to continue your health journey! 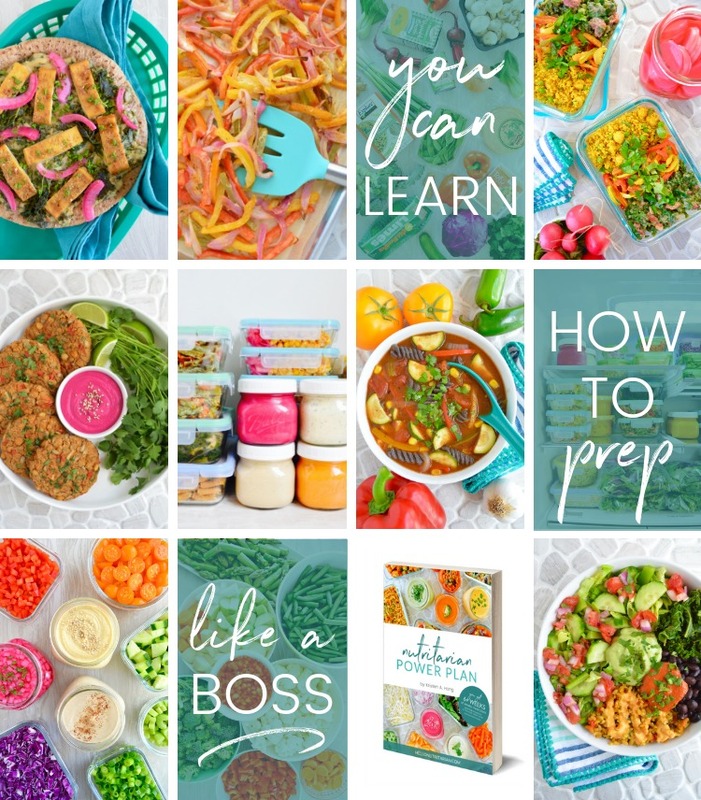 And if you need an iron-clad plan for success, join my Nutritarian Power Plan program–you’ll get 6 weeks of game plans with all the checklists, recipes and resources you need, plus access to our exclusive support group! Kristen, thanks for this post. That “Eat all the feelings” pic made me laugh and then cry. I’ve thought about this post so much over the last couple of days, and it’s really helped. Your blog has made a real difference in my life. Best wishes for happy and healthy holidays!